Delegation requires a certain level of trust between the delegator and "delegatee". I always try to delegate at work as it is the most efficient way to get things done. While not always in the manner I'd like it to be, I accept that there's no perfection anyway. That took me quite a few years to come to terms with and I advocate it to all my colleagues and friends when they whine about how much work they have. Unfortunately, when it comes to matters at home, it is hard to practise what I preach. The fact that J did not come into our lives easy, it is only natural that I want to protect him with all my might. A little too much sometimes (excessive most times actually!). From the time he entered my life, I have been his sole caregiver (other than the lovely teachers from his school). I insisted that I am around J whenever possible. Most times, I rather rush to pick J up from school than bother anyone else in the family to do the job, even if it makes my life a little easier. Let's face it, some of you do the same and feel the same too right?! There's an innate need to be in control. The son must be looked after just the way I prescribed. And many times, I get upset when others around do things that is slightly off what I thought was the right (and only) way to care for him. Without a doubt, with my entire life the past 20 months revolving around this little rascal, I would like to think the jitters I had prior to my recent trip was understandable. I felt all the good habits I had so painstakingly instilled in this boy will all come to naught with the hubby in charge. Coupled with overindulgent grandparents, I cannot imagine the havoc. That says a lot about the trust I have in the people around me when it comes to the boy. In a way, the recent work trip was God's way of telling me that it's time to be less tight fisted and learn to trust. It taught me that what I do not know or do not see, will not hurt me ( as long as it does not hurt J). 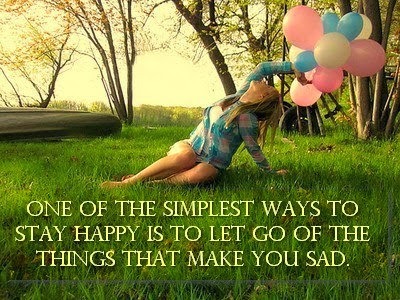 Letting go can be quite liberating too. If I can accept less than "perfect" delivery from work, why should I expect more at home? Indeed, I was able to focus better at work, and got through all the intensed meetings without worrying. And, just to reassure me that he can take good care of J, the hubs kept that J had a hfmd scare and was running a fever the first few days without me. I returned home to a happy boy with no signs of what he went through. It does help to let others share load. Taking on so much tired me out and made me upset frequently. 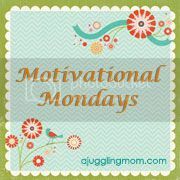 Mothers are humans too who require a breather now and then. So, what I want to do more this year is to learn to let go... give others around me a chance to help out and give myself an opportunity to rest or do the things I want to. The kid should not be a barrier to having my own interest. Of course I need to learn to trust before I can delegate. But I believe it is very much work in progress! With this post, I want to urge all mummies to get the whole village to help no matter which stage of motherhood you are at. While we think we can do it all, somethings sharing the load makes for a happier mummy!